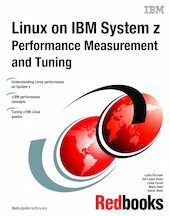 This IBM® Redbooks® publication discusses performance measurement and tuning for Linux for System z®. It is intended to help system administrators responsible for deploying Linux for System z understand the factors that influence system performance when running Linux as a z/VM® guest. This book starts by reviewing some of the basics involved in a well-running Linux for System z system. An overview of some of the monitoring tools that are available and some that were used throughout this book is also provided. Additionally, performance measurement and tuning at both the z/VM and the Linux level is considered. Some tuning recommendations are offered in this book as well. Measurements are provided to help illustrate what effect tuning controls have on overall system performance. The system used in the writing of this book is IBM System z10® running z/VM Version 6.1 RSU 1003 in an LPAR. The Linux distribution used is SUSE Linux Enterprise Server 11 SP1. The examples in this book use the Linux kernel as shipped by the distributor. The direct access storage devices (DASD) used in producing this IBM Redbooks publication are 2105 Enterprise Storage Server® (Shark) storage units. The intent of this book is to provide guidance on measuring and optimizing performance using an existing zSeries® configuration. The examples are intended to demonstrate how to make effective use of your zSeries investment. The workloads used are chosen to exercise a specific subsystem. Any measurements provided should not be construed as benchmarks.